Our certified massage therapists at the Spa are exceptionally trained in many different bodywork and healing modalities such as Myofascial Release, Cranial Sacral, Reflexology, Cupping Massage and traditional Ayurvedic Services. Calming, renewing and inspiring, the Spa at Sedona Rouge creates body treatment rituals that are hand crafted at the spa with indigenous and exotic highly-conscious natural ingredients. With the core belief that true beauty comes from wellness, the spa’s aesthetics program tailors facials to each individual’s lifestyle and health objectives. If you truly wish to experience one of the very best Spa Experiences in one of the most beautiful places in America – look no further and come to The Spa at the Hilton Sedona Golf Resort. 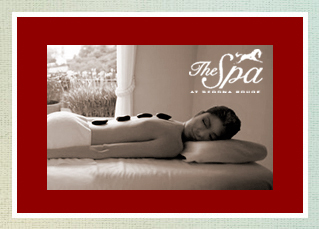 Escape from ordinary life and discover the remarkable amenities that await you at The Spa at Hilton Sedona. Come and reward yourself with the very best a Resort Spa has to offer and you’ll emerge refreshed, renewed and recharged. Surrounded by lush natural beauty, the new Spa at L’Auberge in Sedona, Arizona is an intimate, serene retreat offering a tranquil, rejuvenating experience. Ideal for a peaceful spa getaway, L’Auberge de Sedona Resort and the Spa at L’Auberge offers luxurious ambience and a carefully crafted menu designed to soothe and balance, while expert service ensures you leave with a relaxed spirit. Sedona’s New Day Spa is an exquisite Sedona experience. 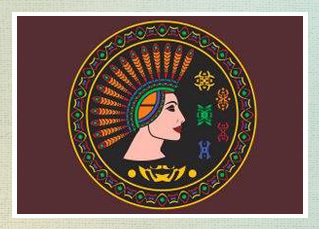 In addition to offering a full menu of services, they are unique in development of a spectrum of Native-based treatments incorporating local plants and Earth wisdom. 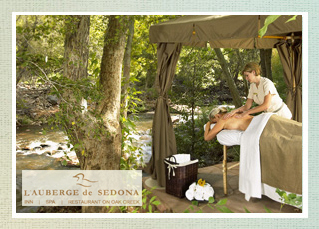 Services are designed to cater to singles, couples and intimate groups, in a quintessentially Sedona setting.